Every day, millions of people around the world use Twitter to see what’s happening. However, there are several barriers to using Twitter, including slow mobile networks, expensive data plans, or lack of space on mobile devices. When building new products, we want to make sure what we create allows people to have the best possible experience, no matter where they are. As a result of this, last year, we released Twitter Lite as an app in the Google Play Store, which minimizes data usage, loads quickly on slower networks and takes up less space on your device. 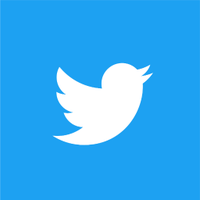 After being released in Philippines, Malaysia and Thailand; starting today people in India and Indonesia will also be able to use the Twitter Lite app. Built for 2G and 3G networks: At 3MB, Twitter Lite saves data and space, and loads quickly on unreliable networks. While using the app on 2G or 3G, you’ll notice that content will load quickly on Twitter Lite. We want to make sure you can see what’s happening no matter what network you’re on! As mobile-first users continue to change how we use the internet, we want to make sure that Twitter is relevant, useful, and dependable. Wherever you are, we want to make Twitter your go-to place to find out what’s happening. While we continue working to make this app available in more countries, you can always access Twitter through your smartphone or tablet browser, by visiting mobile.twitter.com. With Twitter Lite, you can get real-time updates on news, sports, entertainment, politics, and other topics that matter most to you, without having to sacrifice on data or storage. Download Twitter Lite from the Google Play Store today! Twitter Lite Google Play app is now available in all of the following countries: Algeria, Argentina, Bangladesh, Belarus, Bolivia, Brazil, Chile, Colombia, Costa Rica, Dominican Republic, Ecuador, Egypt, El Salvador, Ghana, Guatemala, Honduras, India, Indonesia, Israel, Jordan, Kazakhstan, Kenya, Lebanon, Malaysia, Mexico, Morocco, Nepal, Nicaragua, Nigeria, Panama, Paraguay, Peru, Philippines, Romania, Serbia, South Africa, Tanzania, Thailand, Tunisia, Turkey, Uganda, Ukraine, Uruguay, Venezuela, Yemen, and Zimbabwe.